A Delaware County, Pennsylvania, father is flying to Brazil to watch his son go for gold in the 2016 Olympics — something he never thought he'd have a chance to do — thanks to an Uber ride and a group of kind-hearted people who came together to help fund his trip. 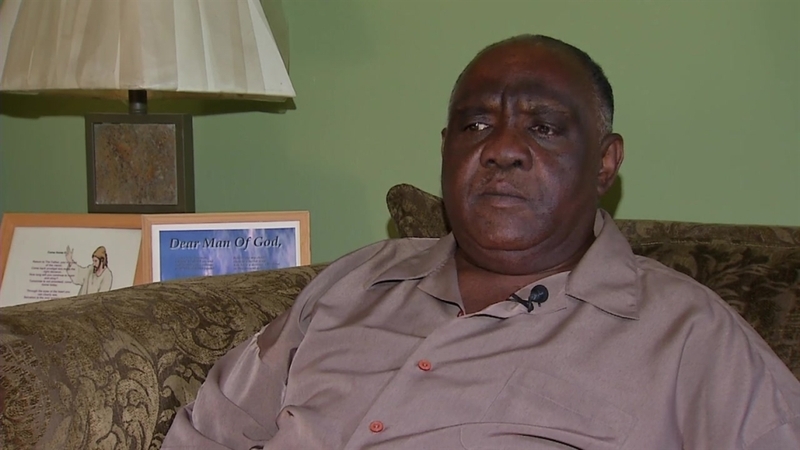 "It's going to mean a whole lot to me," Ellis Hill, of Darby, told NBC10 about his chance to go see his son, Darrell, compete in shot put on the U.S. Olympic Track & Field Team. "Many times, I really wanted to be with him on other meets that he was at, you know, and had to apologize for one reason or another, and this is actually what he's been working toward for a long time. It's going to be extremely awesome for me to experience this." Hill realized his Olympic dream of watching his son compete all started with an Uber ride. Retired and disabled, Hill drives for Uber and bakes in his free time. During a recent Uber drive from the airport to Cherry Hill, he met Liz Willock. As Hill drove Willock to her destination, the upcoming Olympics came up in conversation, and Hill shared that his son was competing. "She said 'Are you going to go?' I said, 'I can't afford to go over there,'" explained Hill, recounting the ride. "I said, 'I'd like to go, but I really can’t afford to go.'" Willock was having none of it — so she told Hill if he wanted to go, she could help him get to Rio. Willock works for a global concierge service with contacts in Brazil. "I said, 'You don't have to do that,'" said Hill as Willock began forming a plan to get him to Rio. "She said, 'I'm going to do everything to make sure you go' … She has a good spirit." Willock set up a GoFundMe account to help Hill get to Rio, and by Sunday afternoon — within just two days of its launch — it surpassed its $7,500 goal. Willock said her company would arrange all of his ground transportation and logistics from Pennsylvania to the hotel in Rio. "Outside of special things that have happened in my family, I think it’ll be one of the most important things I’ve ever done in my life," Willock said of the opportunity to help Hill get to Rio. Uber later announced it would kick in $1,250 in free rides and perks for Hill. "All of us at Uber Philadelphia are rooting for Ellis’ son down in Rio, and to make sure his dad has an easy time getting around while he’s in Brazil, we’re providing $1,000 in Uber credits, as well as a $250 gift certificate to one of the city’s top restaurants," said Uber Pennsylvania general manager Jon Feldman. "Every single Uber ride happens because folks like Ellis are on the road serving their local community and making it easier for their neighbors to move from point from A to B," said Feldman. "It’s inspiring to see that community rally around such a worthy cause." Hill still needs to figure out a final bit of logistics like getting his passport. "I never had a passport before, so I'm going to be getting that done tomorrow or the next day so I can get a ticket," Hill said. "I'm extremely grateful." Hill said he came out of church on Sunday to a phone call from NBC10 letting him know the GoFundMe had reached its goal. "I said, 'What?!' I said, 'Oh my god, thank you so much,'" Hill recalled. "It's a great thing for people to come together like that, and it's a great opportunity." He also received a text from his son, Darrell, who's in San Diego preparing for the Olympics. "I saw a text on my phone from him telling me to get all my stuff together, that the financial part had been taken care of," Hill said. Darrell competes on Aug. 18. One of the major contributors to the GoFundMe to help get Hill to Rio was Philadelphia attorney Robert Mongeluzzi, who kicked in $1,545 Sunday afternoon to help the fund reach its goal. "I've been an athlete my whole life, and you know, I guess it just touched me," Mongeluzzi told NBC10 by phone on Sunday. "I know he's going to be so proud, and to help support our American team by helping support a father and a parent who otherwise wouldn't have been able to watch their son in a once in a lifetime experience, it's great for me, and I'm just happy to do it." Yo.. Somebody just donated $1,545 to my go fund me. I was almost moved to tears. God is so good. Mongeluzzi, who played lacrosse during his time at the University of Pennsylvania, said Hill's story touched him because he remembers what it meant to him as an athlete to have his dad in the stands watching. "I'm here with my 94-year-old dad at the (Jersey) Shore, and what could be better than a father and a son spending time together?" Mongeluzzi said. "I can't think of anything that would make a father prouder than to go watch his son in the Olympics."